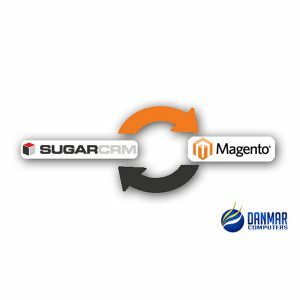 DanmarCRM has launched SugarCRM Magento Sync Connector PRO to help business owners increase customer retention and to increase sales and loyalty. WINDSOR, QLD 4030, AUSTRALIA, October 28, 2018 /EINPresswire.com/ -- DanmarCRM has launched SugarCRM Magento Sync Connector PRO to help business owners increase customer retention and to increase sales and loyalty. The new application allows those that trade online and have an online store to easily link Magento and SugarCRM - helping to increase sales. With increased competition in the online environment and customer retention costing less than marketing for new customers, it is important for online stores to look for ways to increase retention, better understand their customer needs and interests in order to drive sales. The SugarCRM Magento Sync Connector PRO makes that possible by facilitating transfer of information from your website into SugarCRM. 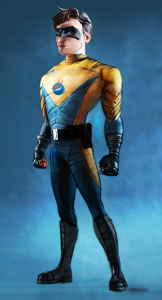 A spokesman for DanmarCRM stated: "The new application syncs Magento, the open source e-commerce system and SugarCRM." The success of SugarCRM Magento Sync Connector PRO has gained worldwide attention. It has been hailed as one of the most important lead generation tools that helps businesses retain customers and increase sales on new products and services. "With the new module, customer registrations in Magento are synced with SugarCRM as new Leads. Upon checkout from the online store, the Lead created in SugarCRM is converted into an Account and a Contact, adding the address and the phone numbers from the checkout form. The module will also automatically create a Lead for each client and convert it into an Opportunity with all ordered products added." One of the biggest problems online businesses face is low conversion rates from site visitors. Millions of small business owners are spending thousands of dollars on marketing techniques, SEO services and advertising to increase the number of visitors to their store. That spending can be reduced by using SugarCRM Magento Sync Connector PRO. The application is easy to use and can help businesses to increase conversion rates by targeting the right audience with products and services that they would be interested in through email campaigns.